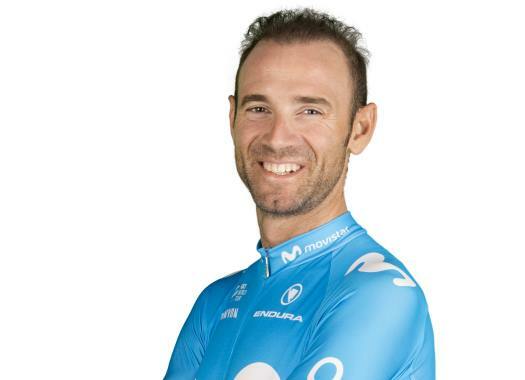 Movistar's Alejandro Valverde finished the individual time trial of the 16th stage of the Vuelta a España in 39 minutes and 33 seconds, which allowed him to stay in the second position of the General Classification. The Spaniard sits at 33 seconds from race leader Simon Yates after a good time trial. "In general terms, I felt good," Valverde commented at the end of the stage. "It is true that I started strong looking to set a good time and during the middle stretch of the time trial, where there was headwind, I couldn't find a good rhythm. "But in the final part I could win back some time, so I finished on a high note. I think I did a good time trial, but (Simon) Yates, (Enric) Mas and (Steven) Kruisjwijk were better." Despite Quintana being in the fourth GC position at one minute and 15 seconds from Yates, Valverde claims that they still share the leadership of the team. "I don't think I can be the sole leader of the team," he explained. "I'm closer to Yates than Nairo but he keeps being there and having us both in the fight is something that benefits us. "I'm 38 and if I have to finish in the second place it is not a problem. We will have to play well our strategy. The finish of tomorrow is explosive and possibly will also be good for Yates, not only for me. We are five against Yates, but he has shown that he's strong."